The candidate has been dogged by health rumors following the release of a video showing what appeared to be an uncontrollable spasm for thirty seconds while her proponents argue the concerns are nothing more than a conspiracy theory. Democratic Presidential nominee Hillary Clinton suffered a severe four minute long coughing fit on the campaign trail in Cleveland that she chalked up to an “allergic reaction to Trump” as she struggled to even utter words in a strained tone surely to be seized upon by her Republican rival who has questioned her physical “endurance” to serve in the White House. NBC Reporter Monica Alba remarked that the coughing fit was the "worst one I can remember." ​Hillary Clinton has long been rumored to have suffered complications following a concussion in December 2012 near the end of her tenure as Secretary of State after which she was hospitalized for a blood clot in her brain. Those rumors came screaming right back when the FBI released notes on their investigation into Clinton’s private email server in which Hillary claimed to not remember receiving briefings on document retention while with the State Department due to the impact of the incident on her memory. The political cycle was plagued with what seemed to be attempts to shock the public and distort the narrative about Clinton’s well-being by media outlets opposed to Hillary’s candidacy featuring potentially misleading images of her slipping on a flight of stairs and similar images. ​Concern regarding Hillary’s health went mainstream in recent months, however, after a video was released showing the former Secretary of State apparently convulsing for 30 seconds in front of a field of reporters before quickly regaining her wits and asking the crowd whether they have tried the "iced latte" before her handlers shuffled her away from the press. The bizarre incident was followed by statements from a number of prominent doctors, including Doctor Robert Lahita who serves as the Chair of Medicine at Newark’s Beth Israel Medical Center who said concerns about Clinton’s health were far from a conspiracy and said Hillary’s health record is "disconcerting at best." 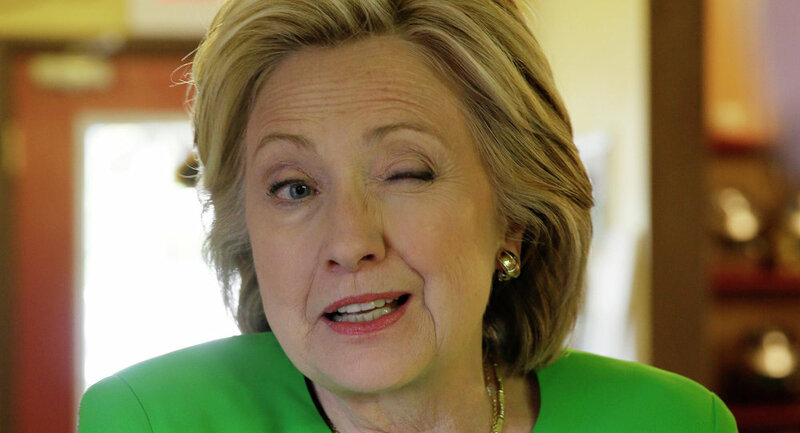 Media Blackout: Hillary’s Server was Hacked - Were America’s Secrets Exposed?